This is my fiftieth post here on this blog. I thank all my blog visitors for giving me the courage and inspiration to go ahead and write new posts on my blog, and most of all I thank my parents and sister. My mom who taught me to love the art of cooking, and my father though never enters the kitchen always find it tempting to know whats cooking on my blog. My little sister who is always busy taking photographs of every step and every ,eal I cook, when I am at home in Kolkata. To mark this happy event for me, I have prepared a typical dish which hails from Chittagong in Bangaladesh‘. Now, this is a bit tricky, why should I be cooking something that sounds and tastes like a typical Bangladeshi dish. The answer is simple, my grandfathers, both from my father’s as well as from my mother’s sides were inhabitants of then unpartitioned Bengal. After the partition in 1947, they came and settled in Kolkata. As everybody say you can take out the Bengali from Bengal, but not the Bengal from the Bengali, so was it. At home our cooking style resembles those of the people of Bangladesh, though I am the third generation who is living in India and never had a luck to see the place where my grandparents were born and lived the best days of their lives. Morichut is a typical naming for any curry in their native language of Chittagong. I love this one with eggs and aubergines. Morichut also can be made using potatoes. May be I’ll write a post on that sometime later. Keep aside the half cooked egg plants, and heat 1 teaspoon of oil and add the eggs. It tastes good with roti, paratha or even rice. So cook it and have with anything you like. This is the only morichut recipe I found on the net. I have tasted some other varieties as well fro family friends. Can you please help me with some more. Thanks for this recipe which which was really nice. Thanks for the compliment. I’ll try to post a few other morichut recipes soon. hi…………..got this receipe while searching for something innovative to do with begun………if you have any more ideas please let me know. I know this is an old post, but this is the best i could find on East Bengali cusinein your site! 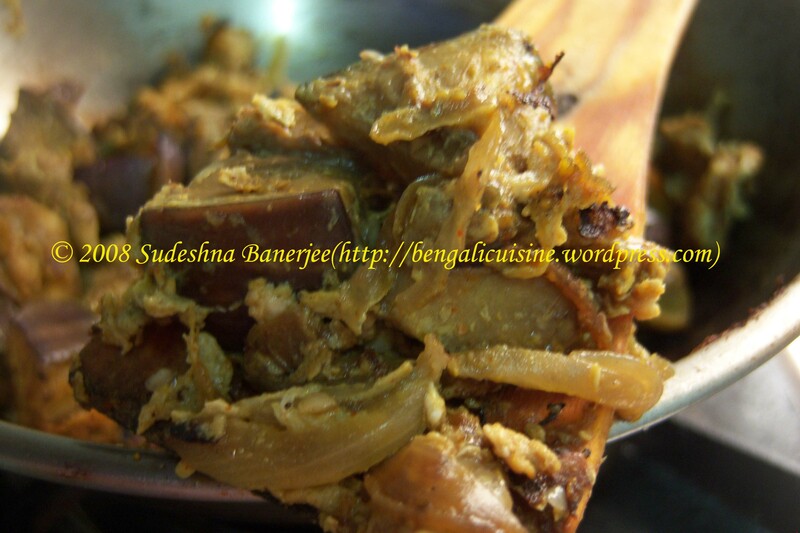 i’m one myself and would love if you do a post on the whole Eastern side of the Bengali cuisine. Very good dish,.,….My husband liked it very much & entire credit goes to you…Looking forward for some more delicious dishes…. I just tagged you for the Breadline Africa bakeoff at my blog. Double Congrats – on your 50th post and 15000+ hits. Way to go lady. Cheers! looking so good and delicious! It tastes good with anything you want to try. Just cook and see it for yourself. CONGRATULATIONS SUDESHNA!!! I am sooooooooo happy for u. Btw lovely Morichut…will try that…how does it taste.. with paratha….? ?